As you know, Microsoft released System Center 2012 R2 Configuration Manager SP1 and System Center 2012 Configuration Manager SP2 (SCCM 2012) in the same time. You can read more here. This release can be confusing for some people because 2012 SP2 and 2012 R2 SP1 binaries are the same. The same .exe or .iso file. For migrating or for fresh install, the file to mandatory execute is SC2012_SP2_Configmgr_SCEP.exe. 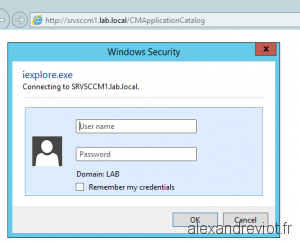 We only use SC2012_R2_SP1_Configmgr.exe when we want to activate R2 features. 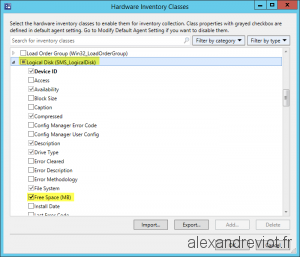 With System Center Configuration Manager 2012, there is a new functionality: Application Catalog. 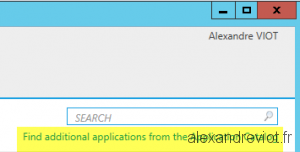 Using Application Catalog, you can deploy an application on user collection, and all users can use this web page to install or request an application. Depends on your system configuration, Internet Explorer can prompt for your login / password. Even if you are in your domain. With System Center Configuration Manager, you can retrieve a lot of information about your computers, specially the Hardware Inventory. And with Reporting Service Point, you can display it easily via a web page. However, if you would like to display the Free space on a drive, you can do this but it is not enabled. 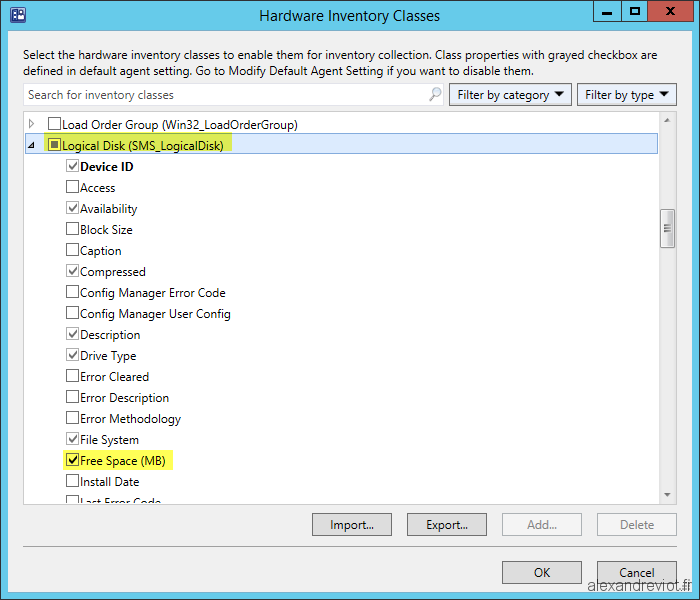 In the Logical Disk classe, check the Free Space item. After that, wait for the Machine Policy retrieval and at the next Hardware Inventory, you will get the information. In order to deploy App-V 5 on your clients, the .Net Framework 4 Full is a prerequisite for Windows 7 computers. Windows 8 and 8.1 already include this Framework. With Configuration Manager 2012, you have a new feature to deploy your software: Application. To use Application, you need to add a Detection Method. This detection method is based on several criterias and it will check if the application is already installed on the computer. File/Folder: check if a file exists on the drive. Date modified, Version and Size can be used. Registry: Check if a registry key exists. Windows Installer: Check if a product code is installed. Custom script: write and execute you own script to detect the application. You can use Powershell, VBScript and JScript. However, when you want to install a software update using Application, there is no built-in function to detect if the update is installed. You have to use a custom script. 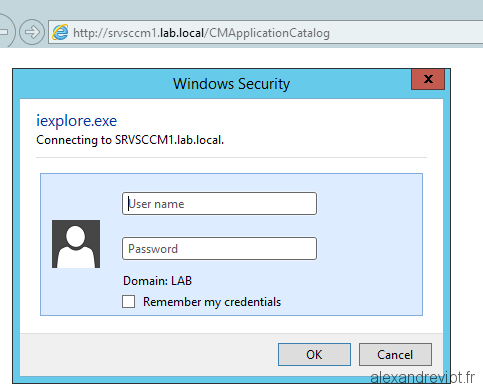 When Microsoft release a new Cumulative Update for ConfigMgr 2012, the SCCM Agent is updated too with a new version. To fix some bugs and improvements, you need to deploy it on all your clients. 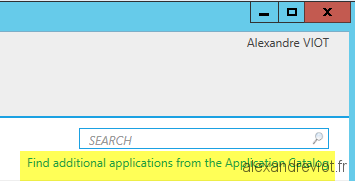 Use the CAB file in the folder [SCCMInstall]\hotfix\KB\SCUP and deploy it with SCUP, that means you are using Software Updates. Deploy the new version with two packages, one for x86 and one for x64, included in the Cumulative Update. With this solution, you can easily update your client with no technical requisite. We will see how to update clients with the second solution, using package. During the migration phase of SCCM 2007 clients to SCCM 2012 infrastructure, I had an issue with the Software Update Point: a lot of computers not reported their Software Update compliance and didn’t evaluated any new software updates. OnSearchComplete - Failed to end search job. Error = 0x80244022. Scan failed with error = 0x80244022.